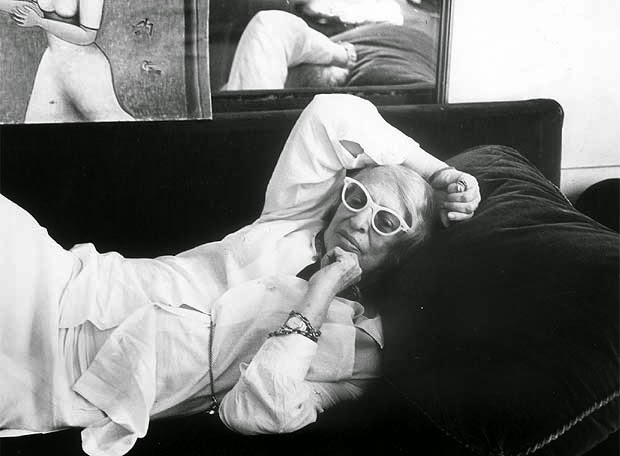 Speaking about Argentinian literature, Jorge Luis Borges once said "Silvina Ocampo is one of our best writers. Her stories have no equal in our literature." I learned this from the back cover of the new NYRB Classics edition of Ocampo's selected stories called Thus Were Their Faces. In the introduction to that book, I learned from writer Helen Oyeyemi that Argentina's National Prize for Literature was denied to Ocampo because the judges deemed it "too cruel." This, a footnote clarifies, was in any case Ocampo's own read on the matter. Regardless of the cause, winning that prize would have probably lifted Ocampo, who died in 1993, to greater international status. Because Borges's word is not enough, I suppose. 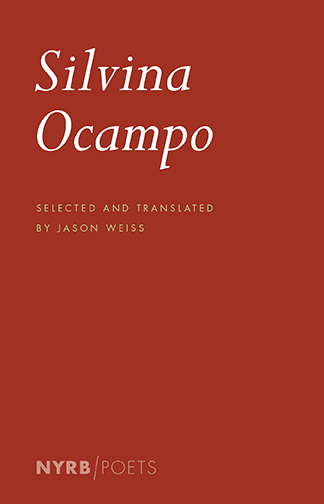 The point being that from what I can tell, very little of Ocampo's fiction or poetry has published in the United States, or even translated into English, until now. The NYRB volume of stories, which comes out on Tuesday, will be accompanied by another book, a selection of her poetry. Borges' enthusiasm wasn't based on nothing. In fairness, sort of, one reason why Ocampo's fiction might have has a difficult time finding a publisher in the US is that much of her work, to judge from Thus Were Their Faces, was of the short-short fiction variety -- that is, many of her stories range from about two to maybe five or six pages long. Borges's stories were like that too, for the most part, and maybe once such dense fabulist from Argentina was enough for the US literary world. When I do the The Kind of Face You Slash series, the month-long review of horror fiction I do (almost) every year, I always read a fair number of very short stories, and at least in that genre, which is not one to which Ocampo's writing bears no resemblance, the problem is often that the writers plows heedlessly through an idea that could have used some more room to breathe, and God knows why they did that, or the point all along was to grind out a couple of pages of abstract mood, which is not my favorite thing to read (although the success of the stories covered in both examples depends, as always and forever, on the talents of the writer). It's a strange form that can feel very unnatural, and can be broken by the stories being forced into it. The contents of Thus Were Their Faces are laid out chronology, and cover a span of over fifty years, from 1937 to 1988. The shortest story is two pages (there are more than one of those) and the longest, admittedly, is about sixty (there is only one of those), and all together a total of forty-two stories were collected. Not once did I find a story that seemed unfinished, or plowed through heedlessly. Granted, there are a few of the densely abstract variety, and I'll confess here that those stories did little for me. All of them come from the later years. In stories like "And So Forth," "The Music of the Rain," "Sheets of Earth," and "(Com)passion," the fantastical and weird elements over which Ocampo was capable of exerting such control can feel watery, the stories gone from my head before I'd started the next one. But typically, this isn't the case. Outside of Borges, I've never read fiction of such brevity that nevertheless felt as complete as, for example, "The Perfect Crime," which packs domestic tension, class resentment, a horrific crime, and an unreliable narrator all into barely four pages, or in "Forgotten Journey," Ocampo's crystallization of the young heroine's dawning realization that the facts of human biology are essentially grotesque into three. At night there are fireflies and deafening cicadas. A soft penetrating perfume seduces me: Where does it come from? I don't know yet. I think it's good for me. It comes from flowers or trees or herbs or roots or from all of those at once (maybe from a ghost? ); it is soothing perfume. Smelling like a dog -- will I turn into a dog? -- I tear at the leaves, the plants, the wildflowers that I encounter. The flora is -- is it? -- the big threat here, and so, surprisingly, although the title might tip it off, "Men Animals Vines" falls into the "deadly vines" horror subgenre. If you are so inclined to categorize it, anyway, which you needn't necessarily be, but even so. Look also at "Friends," about two boys, one of whom has a terrible power that warps him. It is, in fact, not entirely unlike Jerome Bixby's classic 1953 story "It's a Good Life," though, among many other differences, Ocampo's ending is a long way from Bixby's (which shouldn't be taken as a knock on either). Heredia accepted that I hadn't been snooping around the house. By evening we were reconciled. Lighting our way with a lantern, we climbed a narrow green staircase and into the attic to look for a whip...Heredia wanted to show me a jewelry case and trunk where various old family keepsakes were stored. He wanted, with some ill will, to show me the awful palace of the bats. This is all heading towards an ending that some may consider quite modern, and I suppose it is, in a sense. The modern version of this ending, however, is a cheap one, and has been made so by time and overuse. In 1948, and in the hands of a writer like Ocampo who isn't using it as a means to simply jerk people around, I'm reminded of the power that such endings once hand, and can still have if they're backed by conviction. As a result, "The Impostor" doesn't lose any of its creeping strangeness after the final lines are read, but becomes sad in addition to that. In "The Impostor," there is some small element of clairvoyance to the proceedings, which turns out to be a favorite conceit of Ocampo's. You'll find some form of it in many of these stories, but it's used most brilliantly in "Autobiography of Irene," which imagines the ability to see into the future as an overwhelming experience that supplants memory -- there is a terrible and ingenious logic to this -- so that this amazing power is one never to be desired, and "The Doll," which uses passionate melodrama as a kind of origin, or a prelude to a story Ocampo didn't write. That Ocampo wrote last line of "The Doll," whereas it never would have occurred to me, is the kind of thing I could become quite jealous of. And there is, of course, lots more. If the selection of four stories from Ocampo's 1987 collection And So Forth, which comes near the end of Thus Were Their Faces, turned out to be my least favorite, this matters little given how strong, varied, and copious the rest of the book is. Plus, the book closes out (nearly) with "Cornelia Before the Mirror," a long story told almost entirely in dialogue, which may be, probably is, actually a fractured monologue. 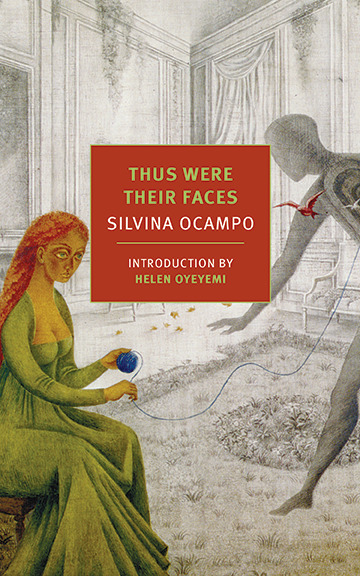 Given its structure, it's kind of a tour de force of clarity, when you think about how it could have gone, and it also boils the madness and loneliness and the longing for death that is the make-up of so many of Ocampo's men and women down to its essentials, while bringing old metaphors, like mirrors, back to life. Which is something I hope Thus Were Their Faces will do for Ocampo herself. The Bitter Tears of Petra von Kant was the first film made by Rainer Werner Fassbinder that I ever saw. This was some years ago, and what I remember about my reaction was that basically it was a good movie that I would tell people I liked, should the subject ever come up, but that it was also, very plainly, Not My Kind of Thing. However I would have defined what that thing was then would be very different from how I'd define it now, because via the doorway of The Tenderness of Wolves and Why Does Herr R. Run Amok? 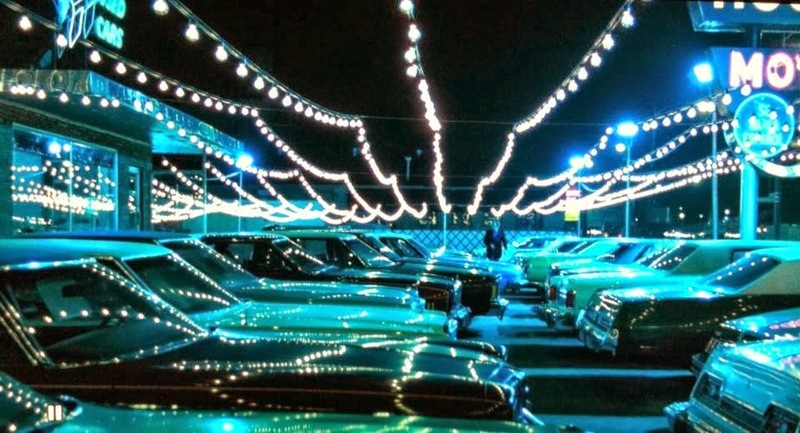 (both of which, admittedly, are cheating) I have since become somewhat guardedly fascinated by Fassbinder's work. I say guardedly only because there's so goddamn much of it, despite his early death at age 37 (I am two years older than Fassbinder was when he died, and I have made forty fewer movies), and also there is frequently, but certainly not always, an aggressive weirdness that I, for one, kind of have to be in the mood for. Watch Satan's Brew if you don't know what I mean, although that may be an extreme example. Or not. I haven't seen everything. Anyway, the chance to come full circle with Fassbinder has presented itself with the Criterion release of The Bitter Tears of Petra von Kant and I'll tell you, whatever my thing is now, this movie fits right in. Adapted by Fassbinder from his own play, the entirety of the film takes place within the home of the titular Petra von Kant (Margit Carstensen), a successful fashion designer whose career, one nevertheless senses, is currently not as robust as it once was, or anyway that's how she views it, even though she doesn't want anyone else to view it that way, or to know she views it that way. She presents a facade of optimism even to her live-in assistant Marlene (Irm Hermann), though as is often the case in these situations she's probably not fooling anyone, least of all Marlene. What will also become apparent is that Petra isn't as comfortable with her life as a currently unmarried woman -- one marriage ended in her husband's death, and the second in divorce. She talks about her ex-husband quite often, and claims that she ended the marriage much to the disbelief of Sidonie (Katrin Schaake), Petra's subtly malicious cousin. Sidonie introduces Petra to Karin (Hanna Schygulla), a young woman who Petra seduces into being both her model and her lover. 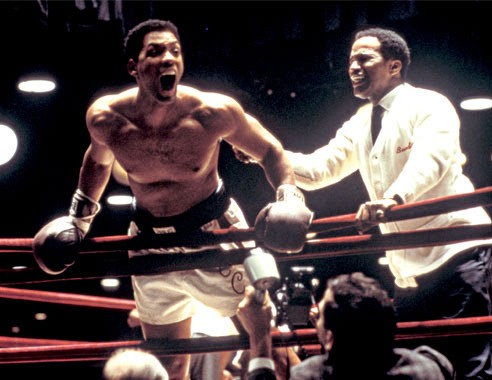 The film jumps ahead in time here, though exactly how far it's difficult to say. Initially, considering how devoted Petra has become to Karin, I thought we were at least several months along, but Petra's overall emotional fragility allows for the possibility that we've picked things up sometime next week. So Fassbinder's approach to time compression here is intriguing, even though his methods here are common in live drama. This doesn't change the fact that, unlike most films, Petra's emotional swings can't be exactly traced through what we've seen before. But even though the motivations of this fictional character aren't written in lights, as a human being Fassbinder and Carstensen's depiction of Petra is precise. Gaudy, too: in every act, Petra is wearing some new outfit the design of which is pitched at some level of insanity. The extravagance is one thing, but it's extravagance of a particularly blinkered variety. This may be like saying this soup is particularly brothy, which is also, I believe, kind of the idea. Of course, though the bitter tears may belong to someone else, by the end of The Bitter Tears of Petra von Kant it's hard for me to not think of it as Marlene's film. As Marlene, Hermann never speaks, and most of the time she's in the background of a frame full of clutter and drawings and mannequins (this is one of the great doll and mannequin films, along with others such as Kubrick's Killer's Kiss and Soderbergh's Bubble) and of course Petra. But Fassbinder and Michael Ballhaus, his master cinematographer, know exactly when and how to pick her out of the scenery -- sometimes, to literally highlight her. Marlene loves Petra, you see, and has spent God knows how many years having her heart crushed as Petra moons over, or pursues, or catches, others. Worse, late in the film when Karin says Marlene is "screwy," Petra -- in front of Marlene -- corrects her, saying that actually Marlene "loves me." So she knows, has always known, and has the nerve to to be the one seeking pity. Twice, Marlene's feelings are expressed, and both times this is done through songs by The Platters: "Smoke Gets in Your Eyes" first, and much later "The Great Pretender." I'd say this is the best cinematic use of The Platters of all time, especially the latter one, which through shadows, a bright light, a black dress, and one character pausing significantly as they walk through a room, achieves a kind of masterpiece in miniature, one that, like the best endings, reflects back across the rest of the film. I've read more than one author express the opinion that the perfect form for prose fiction is the novella -- it's short enough to keep the writer focused and long enough to break free from the tyranny of "not a word is wasted," which I'd say more readers than writers consider the strength of the short story. Of course this isn't the opinion of everybody, but in my own meager way I think I understand it: if the only rule was to write until you're done, I believe we'd have more novellas than novels, or anyway more novellas than we currently do. The problem now of course, and this has been the case for some time, is who will publish them? If you're a writer of a certain stature you might once have placed a novella in a special issue of a sympathetic magazine, but I'm not sure any such magazine exists now, for anyone. Those writers of stature can also publish a collection of three or four novellas, or sometimes you'll see a novella published as a standalone novella; this sometimes does still happen, but I suspect some readers feel ripped off (in fairness, on some level I can't blame them). Anyway, there it is, roughly speaking, and so it was interesting to learn recently about Alan Judd, a British novelist who gained a fair bit of notice in 1981 with his novel A Breed of Heroes, and whose fiction by and large seems to tend towards the tradition of military satire that is so hallowed in England, but whose best-known and most acclaimed work is a 90-some page horror novella from 1991 called The Devil's Own Work. And as I so often wonder, where do I begin with this thing? As a work of horror, the novella, which was published as a standalone book in 1991 and has just now been reprinted by Valancourt Books, won the Guardian Fiction Prize, is easily pinned down -- almost too easily, I was at various times tempted to think, but The Devil's Own Work is as a whole rather elusive, however easy it may be to compare its plot to other books and stories. Which I suppose I should dispense with now, so the plot is this: a narrator, unnamed, is telling us the story of his friend Edward. No last name. Edward was a famous novelist whom the narrator knew for most of his life, though he, the narrator, imagines that friendship meant less to Edward than to him, as Edward was in many ways quite closed off and perhaps incurious about the lives of others. At any rate the friendship endured, and as the narrator's life proceeded along more or less "ordinary" lines, Edward sought his place in the literary world, writing articles and reviews and one novel until he wrote a damning career overview of the aging lion O. M. Tyrell. This leads to a meeting between Edward and Tyrell, which is succeeded very shortly by Tyrell's death by heart attack. Not terribly long after this, Edward's career as a novelist takes off. Among the clues pointing to the kind of horror story The Devil's Own Work is are the mysterious and beautiful woman who was Tyrell's final companion in life, and the fact that the first time the narrator sees Edward after the old writer's death, Edward is smoking cigars which he'd never done before, but which Tyrell had. Edward prospered...He became a leading writer among what were then known as the post-modernists, exponents of something called "fictive realism" according to which reality and fantasy had the same status. This resulted in writers thinking that they could write what they liked, that they had no obligation to convince or render, that they need not discriminate except on grounds of what pleased them. The cause of this was a failure of imagination, or of belief in the power of imagination to interpret life, and it led to contempt for the reader. It had, I think, an intellectual justification at the time, a supposedly absolute skepticism which maintained that since reality was no more to be trusted than fantasy nothing could be finally proved -- whatever that meant. ...I know I am old-fashioned...but I have been made so by experience. It was the new truths that failed me, not the old ones, and I do now believe that anything that confuses reality and unreality, or that attempts to equate the two, is the devil's own work. I don't think it's unfair to assume that, though ostensibly the beliefs of a fictional character, that this literary philosophy roughly corresponds to Judd's own, and, suffice it to say, I disagree pretty much completely with the literary philosophy laid out here. I'm particularly hung up by the phrase "This resulted in writers thinking that they could write what they liked," implying as it does that they couldn't. Among the sins that the narrator has grown to believe Edward the writer committed, as did O. M. Tyrell before him, is the favoring of literary style over meaning -- in other words, and not even particularly other, he's a style over substance writer. Judd leads us in this direction early when he has Edward explain that the concept of his first novel, written before he met Tyrell or Eudoxie, his sinister and beautiful companion (and before he got the strange manuscript, which I mention only to hammer down the summary a little bit more), was to write a novel that was free of conscience, but had to acknowledge his failure when he realized that in if a conscience is noticeably absent from a novel, that deliberate absence will almost by definition render the conscience present. If you follow me. Anyhow, the idea was noticed and appreciated by Tyrell, and its clear that he believes the actual goal is not out of reach. But what I'm reminded of is the time William H. Gass (I think it was him, but it might have been Stanley Elkin or John Hawkes or somebody else entirely) said that the word "daffodil" was more beautiful than the flower itself. One might debate this and not lose sight of the point, but it's a point that Judd, in The Devil's Own Work regards as evil. Or at least I think he does. Not literally evil, of course, but apart from that question is the one about what precisely Edward is writing. I find The Devil's Own Work fascinating, and disagree with it though I do, and though I'm with Nabokov in believing that asking what a writer is trying to say can only lead to tedium, I'm in love with the fact that The Devil's Own Work is a horror story about competing literary philosophies. But it would be much easier to grapple with if we were given some specific details about Edward's novels. The only detail we get about anybody's fiction is the understandably, given the circumstances, on-the-nose bit about Tyrell's last novel being a play on the story of Faust. But in terms of style or even general story or concept behind anything Edward writes after meeting Tyrell, we're given nothing. How important is this, though? Well, ironically, and it's not at all outside the realm of possibility that Judd is fully aware of all of this, that depends at least in part on how much significance you place on what Judd is trying to say. Aha. Plus, as I understand the term fictive realism (not terribly well, I sometimes think) and the kind of fiction such a theory might produce, The Devil's Own Work, with its unreal supernatural elements sitting within it as realistically as descriptions of dinner dates and small talk, would fit in comfortably with everything the narrator disdains. On top of that, though I said earlier that I don't think it's unreasonable to imagine the narrator's opinions coming from Judd's own mouth, any first-person narrator, who in terms of plot seems only to function as an observer, worth his or her salt will actually bear more of the story's weight than one might at first glance think. So how much does it matter that the narrator believes himself to be boring? How important is it that the narrator, who is not a writer, has such a fascination with the writing process? Does he cling to the not overly warm Edward for so many years simply because Edward is a writer? Everybody's entitled to their opinion, and, for instance, I don't believe one needs to be a novelist or film director to criticize novels or films, where, really, does this narrator get off deciding what writers can or can't do? And finally, though I acknowledge the complete subjectivity of this, how important is it that I needed to go back and check to see if the narrator was indeed never given a name, and I hadn't simply forgotten it? 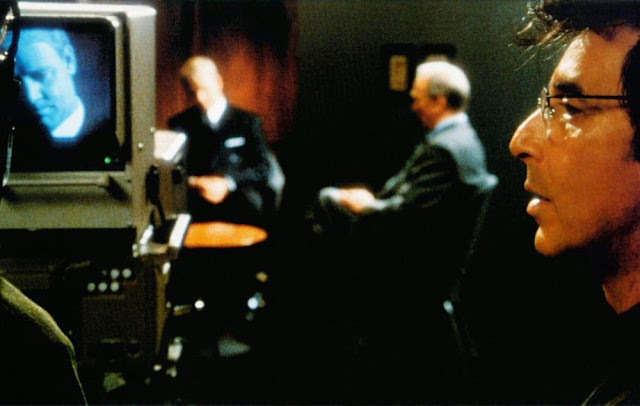 But there's a real passion to the opinions expressed by the narrator, and I can't let go of the idea that they belong to Judd in reality, which in some sense would render The Devil's Own Work nonsense, because what it's "trying to say" would be, for me, nonsense. Though not ineffective nonsense, and anyway it's not lost on me that potentially the best way to gain a better understanding of what's underneath this strange little book is to become familiar with the novels Judd wrote before it, and after it (Judd wouldn't write another novel for ten years after publishing The Devil's Own Work, a fact which probably means nothing, but from this distance looks like it might). In an afterword to this new Valancourt edition, Judd writes that one of the primary inspirations for the novella was the night he met Graham Greene and they talked about Ford Madox Ford, who had recently passed away. Judd left that meeting realizing that he didn't like Greene (not a brand new opinion, as I understand it), but wasn't entirely sure why. 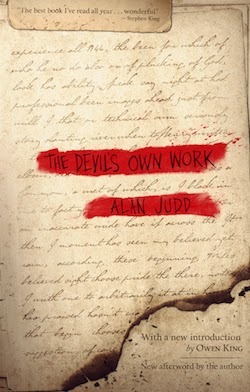 Judd also says that he believes The Devil's Own Work is the best writing he's ever done, and is nothing at all like the rest of his work. We're all left to ourselves, to make of this what we will. In my experience, there are two basic types of hard science fiction story. Before I tell you what I think those are, I should note that my two favorite pure science fiction writers are Harlan Ellison and Robert Silverberg; you might extrapolate from this that between hard SF and soft SF, soft SF wins out (hard SF, for those uncertain of the distinction, being science fiction the relies heavily on technical details and real science, while soft SF is more theoretical, fantastical, human, and, in my opinion, more poetic). But I do believe that hard SF has its charms, if that's really the word I want, and as I say those charms seem to me to be divvied up between two kinds of stories: in the first kind, a group of highly trained scientists in the semi-distant future deal with some kind of crisis, or seek an explanation for something or other, by going into outer space, or perhaps they're already there. 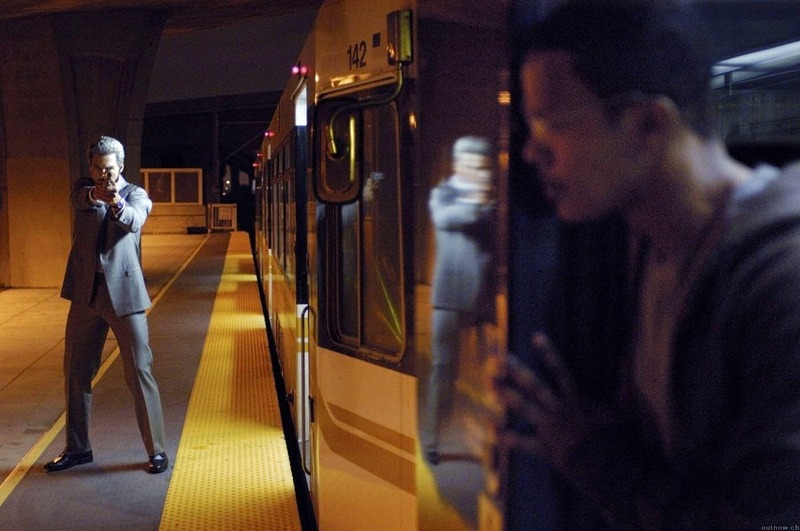 In the second kind of hard SF story, a group of highly trained scientists wearing neckties in more or less the present day are alarmed by something happening, or coming, to the Earth. I have a special fondness for this latter type. Though it's been several years since I read either one, and who knows maybe if I went back to these books I'd no longer like them, my preference for these stories was cemented by Blood Music by Greg Bear and Childhood's End Arthur C. Clarke, and was more vigorously highlighted when I read Clarke's Rendezvous with Rama, which is a story of the other variety, and didn't care for it much at all. If you're going to dump a lot of actual astrophysics on my head, I'd like someone to be driving a car to a lab in California in the 1950s first. 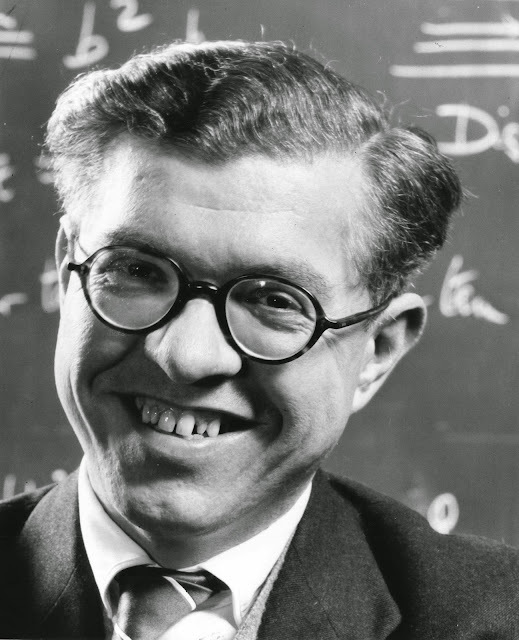 So imagine my delight when I learned that Valancourt Books announced their reissue of Sir Fred Hoyle's 1957 hard SF classic The Black Cloud. The novel begins, in fact, in California, at the observatory in Mount Palomar. While performing the routine task of looking for supernovae by photographing sections of the night sky and comparing those to photographs taken earlier of those same sections of the night sky (I can guarantee you that I've just badly oversimplified this process, but anyway...). While doing this, the young scientist discovers a very strange abnormality among the start, which, after one thing and other, and the involvement of loftily placed scientists in both American and England, turns out to be a mysterious black cloud that is heading towards the Earth. 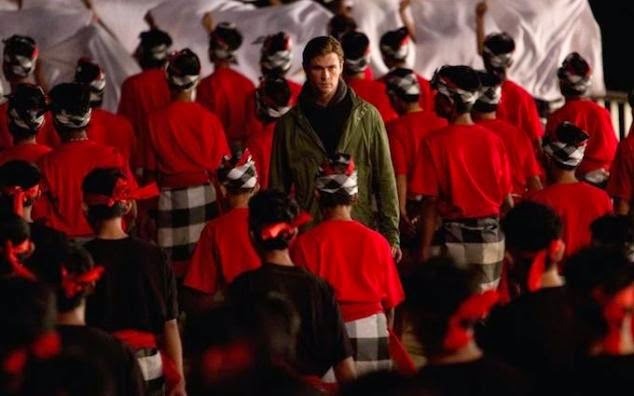 The first half or so of The Black Cloud is given over to the gathering together of the scientist heroes and their procedural battles with the American and British governments, but mostly to speculations regarding what the cloud is and what it might do to the Earth. The worst-case scenarios are very bad indeed, and range from human extinction via ice age to human extinction via fatally hot temperatures -- the variety of these speculations is due to no one, at this point, having any idea what the exact properties of this cloud are. Less prestigious was his work to prove that the biological source of humanity came from outer space, probably from a comet, and his apparently baseless arguments regarding certain paleontological...well, anyway, read up on all this yourself, if you care to. Suffice it to say that nowadays, Hoyle is thought of as a scientist of dubious merit, but some of his theories, as well as his stubbornness in the face of almost everybody tell him he's wrong, found their way into The Black Cloud and the character of Chris Kingsley. And where, really, to begin? With the fact, I suppose, that clearly the reader is meant to regard Kingsley as a hero. This despite the fact that after all of the lead scientist characters are sequestered at a country estate to work on the problem and it is revealed that for security reasons they will not be permitted to leave (nor will anyone who is later allowed to enter the grounds), we learn that Kingsley knew this would happen and knew that his contact with various people, both scientist and non-, would lead to those people being sequestered with him. On one hand, well, yes, let's get the best minds we can possibly get working on this, but also there due to Kingsley's string-pulling are various musicians, including one woman you get the feeling (though Hoyle doesn't waste a ton of ink on this) Kingsley wanted there with him to stave off his own loneliness. He at least has the decency to feel guilty about this, but only just. He also points out (not to her, whom he never tells about his duplicity) that she will be safer on the estate than she would out in the unprepared world, which may well be, but that he made the decision for her, and the other non-scientists, points to...well, it maybe points to why Richard Dawkins is such a fan of this book, let's put it like that. In order to really get to the heart of the Kingsley/Hoyle enigma would involve spoiling big chunks of the second half of The Black Cloud, including the exact nature of the cloud, but I'm not sure I'm willing to do that. However I do have to point out that, among the many other strange things that go on in this novel, what the cloud is is figured out by Alexandrov, a Russian scientist on the team, but somehow, after Kingsley asks Alexandrov to clarify his theory, the other characters give the credit to Kingsley when it turns out to be correct. This is baffling! And also an example of why The Black Cloud is compelling, because Hoyle's personality is present everywhere. This is something that I could not say about, for example, Rendezvous with Rama, and I would also say that it's a potential problem for hard SF as a whole, but not for The Black Cloud. For more of this, see an earlier chapter that features Kingsley going on at length to Marlowe, an American scientist of some standing, about why he, Kingsley, thinks scientists should enjoy places of greater power and social standing in the world, but ends -- literally this is the end of the chapter -- with Marlowe, having patiently listened to it all, telling Kingsley that he's maybe simplifying things just a bit too much. 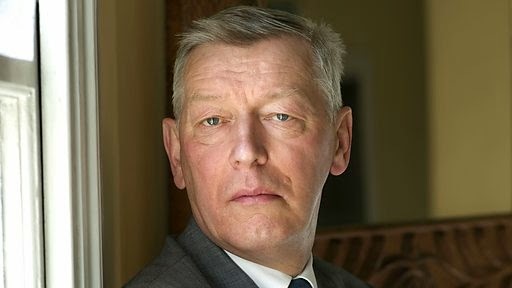 There's so much more that's strange about Hoyle's portrayal of Chris Kingsley, and the terrible things he does that Hoyle and his colleagues try to morally justify (I think most of this can be boiled down to "the people who react badly to you are not scientists and so they don't get your truth, Chris"), but why ruin it for you? 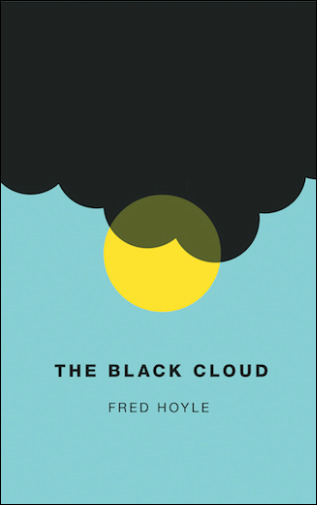 You should also know that while The Black Cloud is not a disaster novel as such, it nevertheless does contain some rather interesting deaths -- interesting in who dies, and when, and how, and how Hoyle presents that material. Because I don't want to spoil any of this, I'll just say that Hoyle handles all of that stuff rather well, and the novel's end is sort of terrific. It is, in its way, which is the way of a certain strain of think about both science fiction and science, very pure. It's mainly Kingsley, the person that he's placed at the center of this that Hoyle can't get right, because he doesn't realize how wrong Kingsley is.